Igor Kieryluk is a digital illustrator and concept designer from Poland. His fantasy art has gained him an impressive list of clients from the gaming and entertainment industries. Companies like Wizards of the Coast, Marvel, DC Comics, Fantasy Flight Games, Warner Bros, and Sony Pictures were all impressed by Igor’s talent. I can see why. He has a phenomenal talent. Igor’s palette shifts between greys and browns and is generally very muted, which makes his use of pastel in some places stand out even more. It creates a sombre, dreamlike effect. It also makes the reds scream at you. Below is a small sample of his work. Each image links to the corresponding gallery. Enjoy! Let me know in the comments your thoughts. 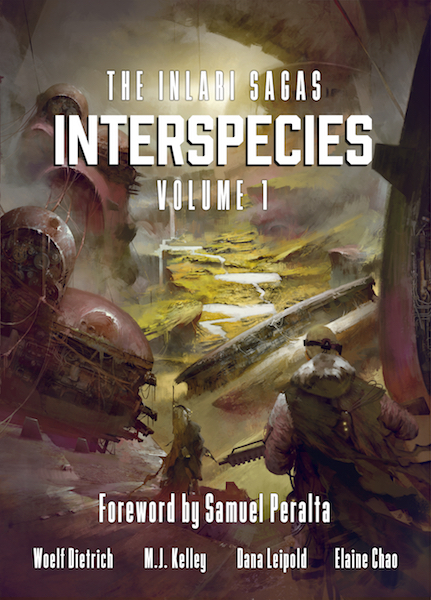 And remember my Art of Science Fiction post over at Kōsa Press. And before I forget, I will post another interview with a Collective SF member soon. My wife is overseas for three weeks and with just me and the kids and my deadlines, I’ve been a bit slower than usual. Oh, I like this artis. Really, there’s a dreamlike quality to his work. The light is so different and so soft and you nearly expect that something will come out of it, something you don’t expect. I agree. This style is very close to my personal preference​.